A Monash Biomedicine Discovery Institute scientist has been awarded a highly sought-after US Department of Defense Investigator Award to progress work probing the intricate mechanisms of antimicrobial resistance. ‘Superbugs’ such as Staphylococcus aureus and vancomycin-resistant Enterococcus are a major cause of hospital-acquired bacterial infection, acknowledged by the World Health Organization as an increasingly serious threat to global public health. However, scientists to date have been hampered in their efforts to overcome antimicrobial resistance due to poor understanding of how bacteria such as these become resistant. 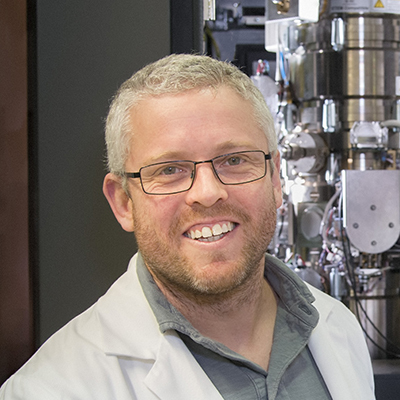 Dr Matt Belousoff has gained funding for two years to build on research examining how changes in the molecular structure of bacteria allow it to overcome antibiotic treatment. The researchers will use Cryo-Electron Microscopy to visualise the structures involved down to nanoscale. “You want to know exactly how to interact on a 3D level with the structure of the bacteria so you can better target it,” Dr Belousoff said. The researchers will then chemically engineer new antibiotics to bind and block the function of the resistant bacteria. “This study will represent the first of its kind where we take feedback from how bacteria escape antibiotic treatment and feed it straight back into the chemical design of more effective antibiotics,” he said. Dr Belousoff said the Department of Defense grants were highly competitive and the barriers to gaining them significant. “This grant was a saviour for me. It’s enabled me to keep working on this project,” he said. Dr Belousoff said it was generally accepted that antibiotics, which are increasingly being outpaced by resistant bacteria, will be outmoded as a way of tackling bacteria in the future.